Dave Filoni discusses the Star Wars Rebels series finale and reveals the fates of both Thrawn and Ezra. Ezra Bridger faces the Dark Side of the Force as Star Wars Rebels brings its four season saga to a rousing conclusion. Ezra journeys through space and time, where he alters the fate of an old friend in a game changing episode of Star Wars Rebels. Ezra discovers a gateway in the Jedi temple on Lothal in the latest exciting episode of Star Wars Rebels as the series nears its conclusion. Reeling from tragedy, a mysterious Loth-wolf guides Phoenix Squadron forward in the latest all-new episode of Star Wars Rebels. Phoenix Squadron rescues Hera from the Empire, but pays a terrible price for their heroism in the return of Star Wars Rebels final episodes. Ian McDiarmind reprises his role as Emperor Palpatine in a new trailer for the final episodes of Star Wars Rebels. The rebels assault the TIE Defender factory on Lothal, but once again underestimate Thrawn in the midseason finale for Star Wars Rebels. The Loth-Wolf returns, as well as Rukh , a deadly character from Timothy Zahn's legends trilogy, in the latest episode of Star Wars Rebels. Before the fourth and final season kicks off next week, a new video succinctly recaps the first three Star Wars Rebels seasons in five minutes. Disney and Lucasfilm have released a brand new trailer for Star Wars Rebels season 4 that teases the beginning of the Rebellion and the end of the beloved series. Disney and Lucasfilm have released some of the episode titles and air dates for Star Wars Rebels season 4. 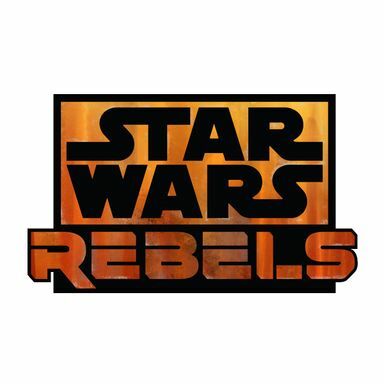 Executive producer Dave Filoni confirms that Director Krennic from Rogue One will not be a part of the final season of Star Wars Rebels. All oaths will come together this fall as Star Wars Rebels prepares for its fourth and final season on Disney XD. Voice actor Sam Witwer reveals that Starkiller was almost made part of the official canon in Star Wars Rebels.